“Ahmad Ali Jafari was a friend and supporter of the Refugee Art Project. I met him the first time I visited Villawood Detention Centre for a drawing workshop. He died of a heart attack a few days later, the fourteenth refugee to die in detention since 2008. This drawing series is for a zine that commemorates his short life and mourns our inability to get to know each other”, Zanny Begg, Fourteen. 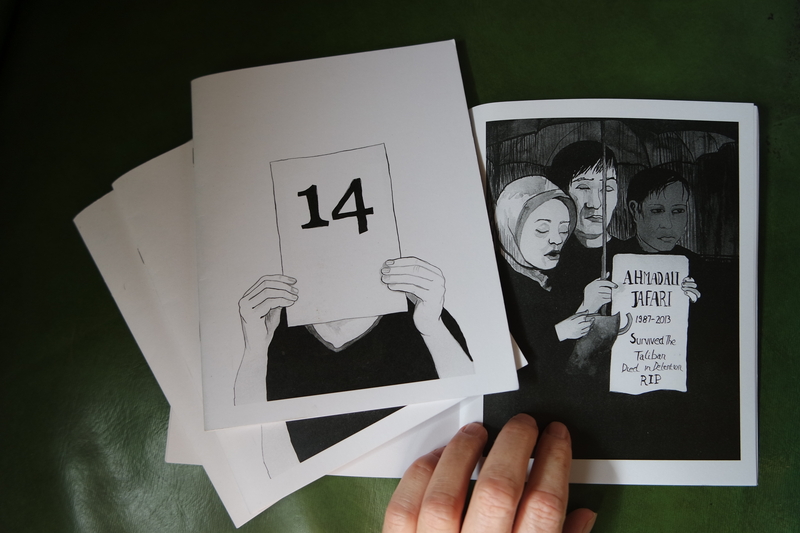 Copies of the Fourteen can be purchased by emailing zanny.b[at]gmail.com ($5). All proceeds go to the Refugee Art Project. 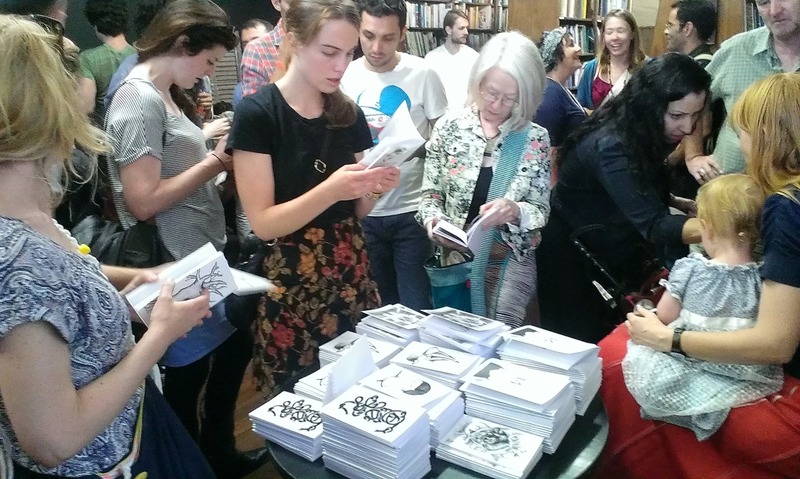 Fourteen was launched along with four other zines by refugee artists at Berkelouw Books, Paddington, December 1, 2013.